Dana Gibson, the first woman president at National University in California, has been named Sam Houston State University’s first female vice president for Finance and Operations. She will begin in the position on Monday (April 13). Gibson brings with her a “wealth of experience” in the areas of finance and operations within higher education, according to SHSU president Jim Gaertner. As VP of Finance and Operations, Gibson will be the chief financial officer for the university, managing SHSU’s investment portfolio and real estate acquisitions and sales. In addition, she will be responsible for the divisions and departments of information resources, human resources, business office, public safety, purchasing, physical plant, university dining services and the University Press and Copy Center. Before serving as president of National University, the second-largest, private, non-profit institution of higher learning in California, Gibson worked in the financial sectors of Southern Methodist University, the University of Colorado at Denver and Health Services Center, and Texas Woman’s University. As the vice president for business and finance at SMU, she managed a $350 million budget and oversaw more than $40 million in capital projects. At the University of Colorado, where she served as vice chancellor for administration and finance, she managed an $800 million budget with funded research of $300 million after a consolidation with the university and the health services center in 2004, a process that was accomplished in six months under her direction. 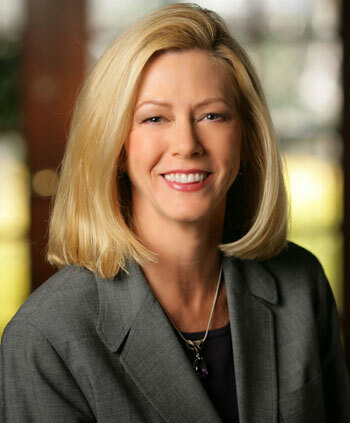 Gibson was selected by the SMU student body for their “Administrator of the Year Award” in 2006, and this year, she was named a “Distinguished Alumna” by Texas Woman’s University. A Certified Public Accountant, Gibson received her bachelor’s and master’s degrees from Texas Woman’s University and her doctorate from the University of Texas at Arlington.